How do you expect people to take you seriously as a Jedi Master when you’re wearing a pair of jeans and a tank polo shirt? Well, the answer is, they won’t. Look at every Jedi Master in the Star Wars movies. Each of them are wearing robes. Mace Windu? Robes. Yoda? Robes? Obi-Wan Kenobi? You’d better believe he wore robes. Quinlin Vos? Okay, so maybe that guy got away with not wearing robes, but you’re not him! 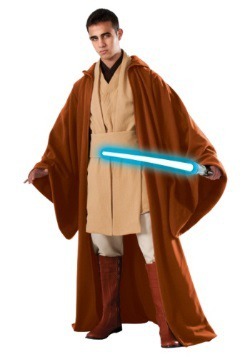 The truth is, if you plan on being a Jedi Master like Obi-Wan, then you’d better get yourself a set of Jedi robes. 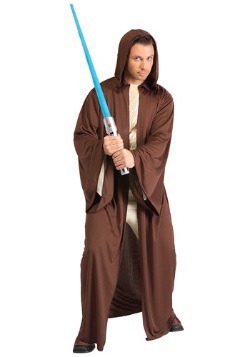 This Men’s Obi-Wan Kenobi costume fits that bill quite nicely. 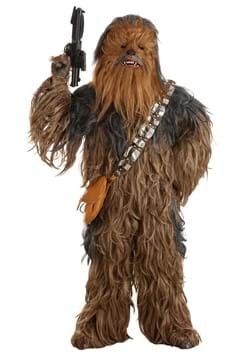 You see, this high quality costume perfectly duplicates the look of Ewan McGregor’s outfit from Star Wars: Revenge of the Sith. 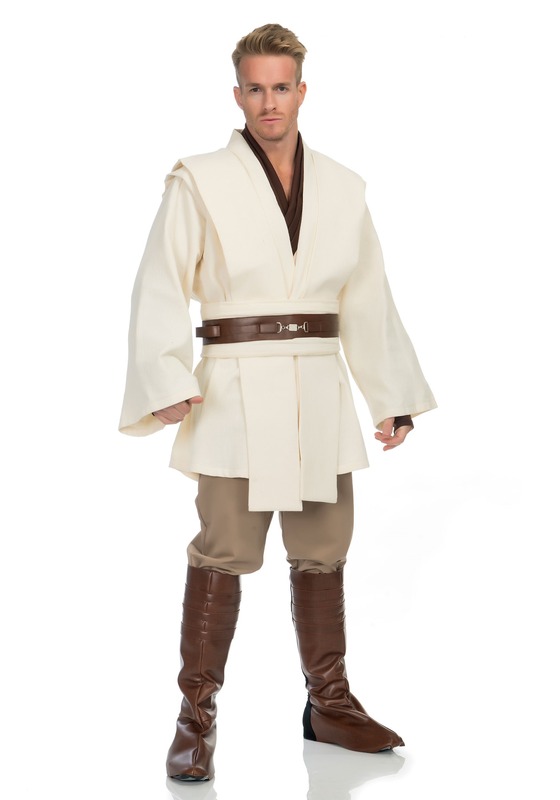 The white tunic will have you looking like a dashing hero, ready to cross lightsabers with the likes of Sith Lords. 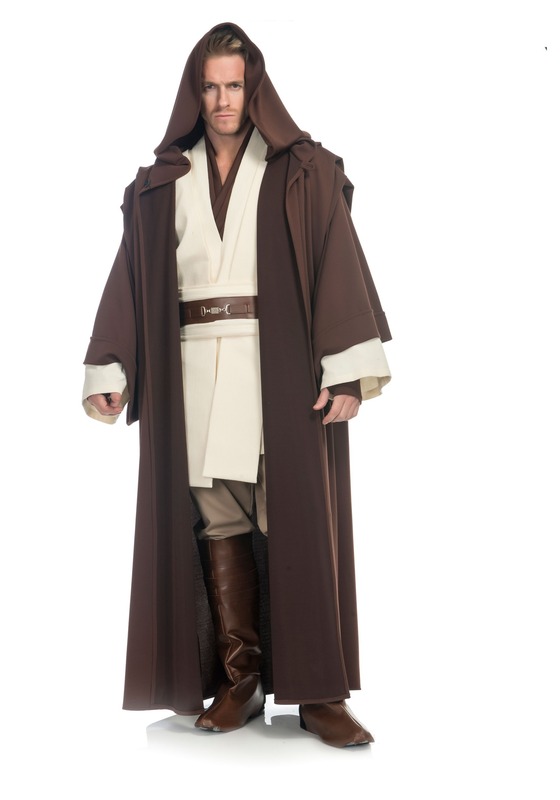 The large brown robe fits over the tunic, to shroud you in mystery.